Good morning, friends! Is it time for Christmas yet? Oh, how I wish. I’m serious. I’m ready to deck the halls. Or maybe I’m just ready for summer to end. (The answer is: both.) Hashtag I’m melting. 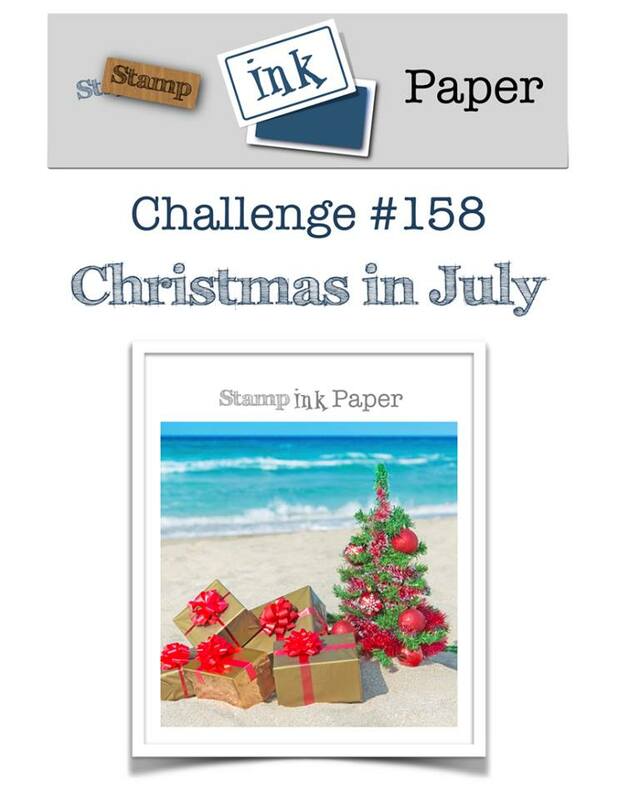 Anyway, we’re having a Christmas in July challenge over at Stamp Ink Paper today, which is the next best thing to the holiday season actually being here. 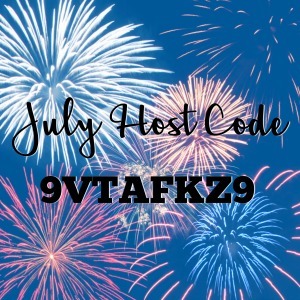 We’d love for you to join us! 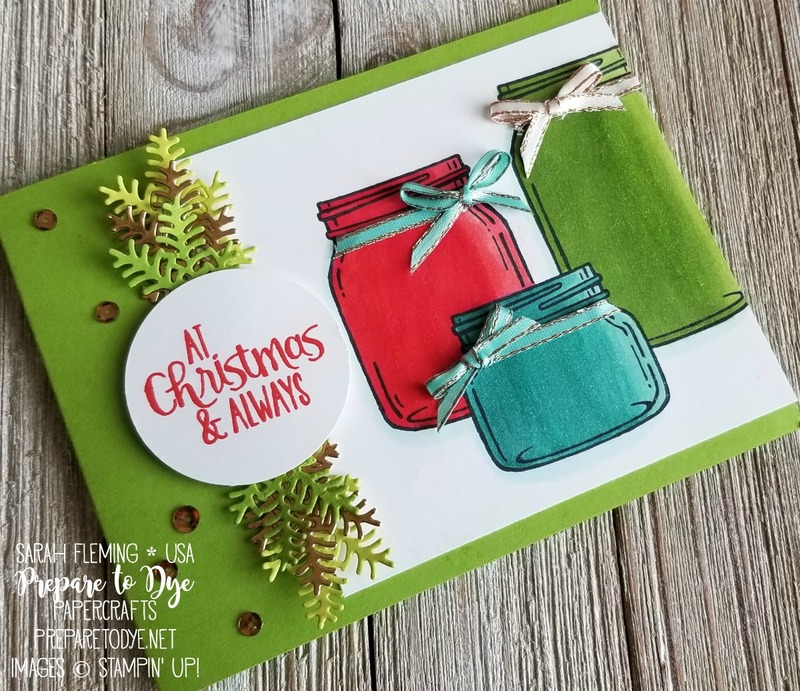 I decided to pull out my seldom-used Jar of Love stamps for this card, mainly because I wanted to use the new colors of Stampin’ Blends I got this week. 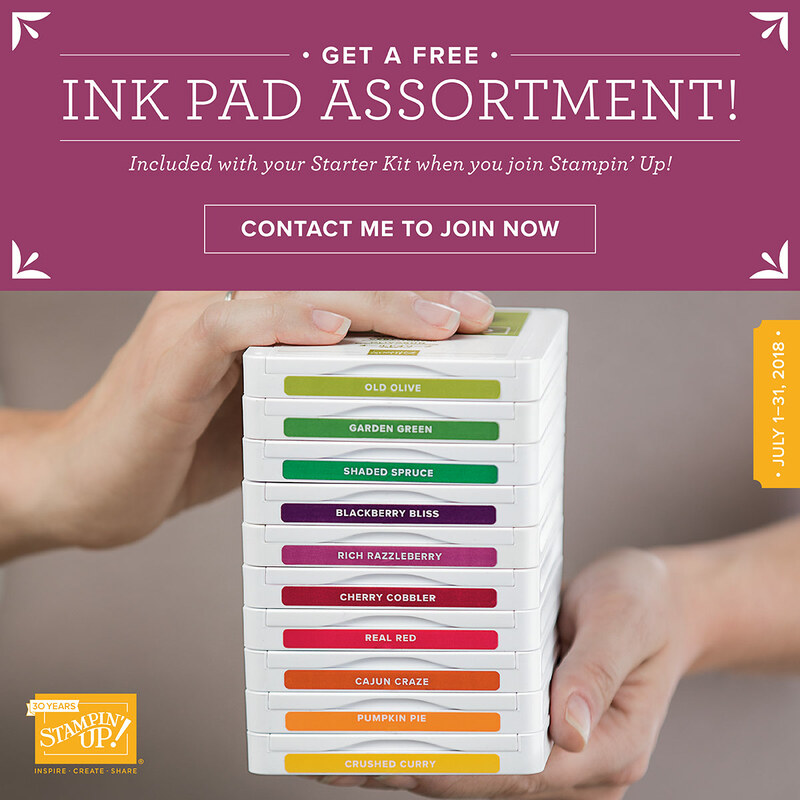 Granny Apple Green and Poppy Parade are two of the new colors, so I wanted to break them in. And I’m not a Poppy Parade lover, so this was my “make me like you” coloring session. And hey, Poppy Parade convinced me to give it a shot. Granny Green already had my heart. I stamped the front jar first, then masked it off and stamped the two back jars. 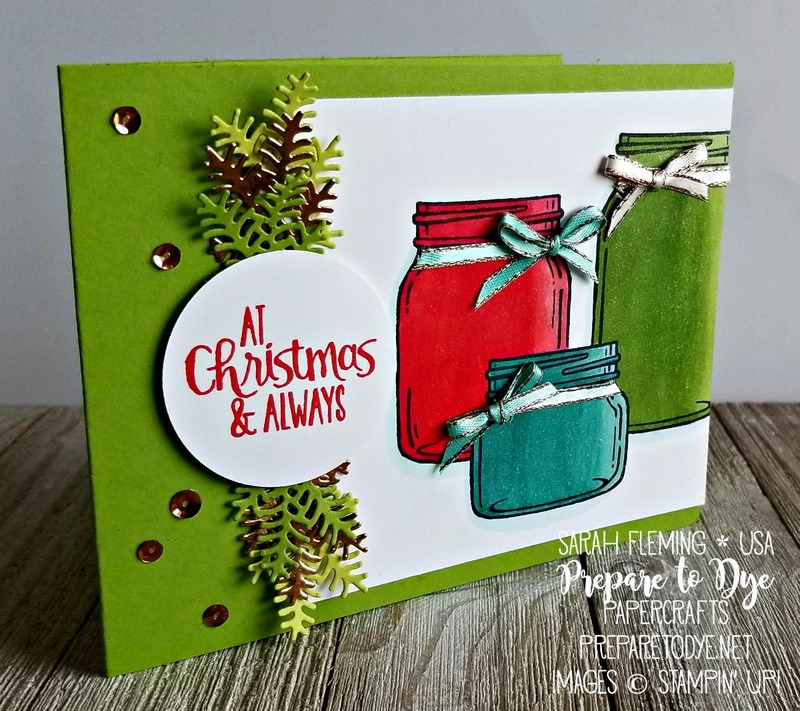 The card base is Granny Green, and the branches are Granny Green, Lemon-Lime Twist, and Copper Foil. I finished off the card with some Metallic Sequins, Tea Room Ribbon, and Wink of Stella (on the jars). Here’s the inside of the card. 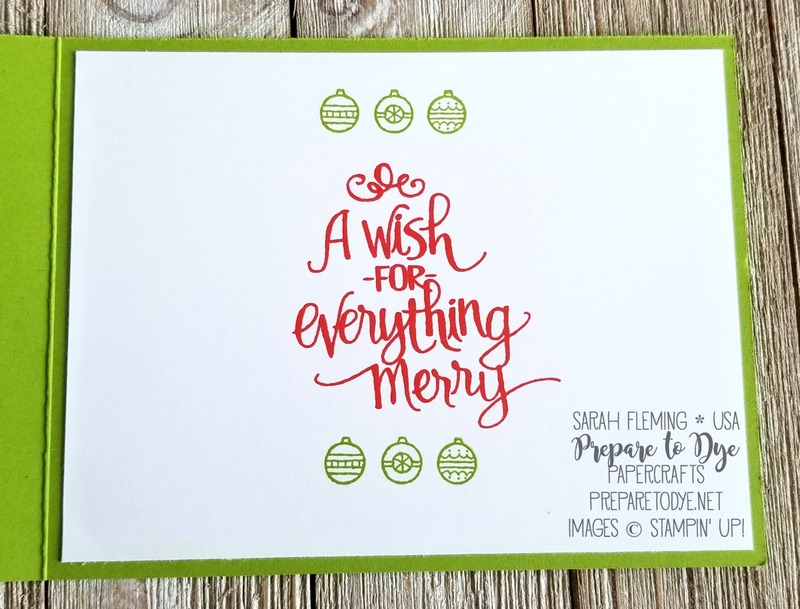 These stamps are from Ready for Christmas. Which I am, in case I didn’t mention it.